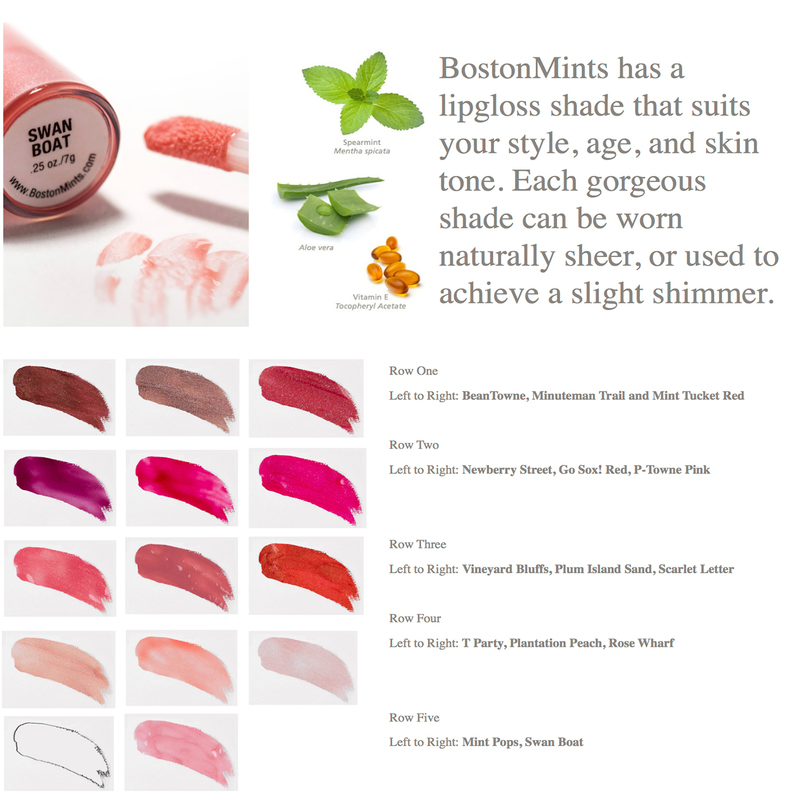 BostonMints™, a long-lasting sheer lipgloss in 14 shades. Developed by a Boston-area make-up artist, BostonMints offers a burst of lush color loaded with moisture and shine to complete everyday looks. The secret is its vitamin C and E, aloe vera and its refreshing spearmint flavor that gives the affect of a plumper lip. BostonMints™ offers the perfect texture to stay on longer, yet it is not sticky or tacky. Each shade is warmly named after a special landmark or location that is close to Bostonians’ hearts like T Party and Swan Boat. BostonMints™ are available in Full and Purse sizes. They are perfect for gift giving.